Measured by the growth of personal income, gross domestic product per capita, jobs, home prices, global trade and transportation, corporate equity and municipal debt, Los Angeles has become the most productive of the five biggest U.S. cities. During the five-year period, home values in Los Angeles increased 49 percent, easily surpassing the U.S. average of 28 percent and more than double New York's 17 percent and Chicago's 14 percent. Renters rend while owners rejoice! As we've noted in the past, immigration policy drives virtually all U.S. population growth, and has helped ensure housing prices have been rising faster than wages for some time now. Los Angeles provides an extreme example of the results. The high cost of housing in California isn’t just hurting the state’s economy, fueling homelessness, and exacerbating economic inequality. It’s imperiling its reputation as a global leader in emissions reductions, too. Another commonly neglected element of income inequality is consumption – including the housing market – which is typically both the largest asset and cost for households (Aguiar & Bils, 2011). Renters in particular have felt the strain of unprecedented demand for rental housing together with a disproportionate growth in their housing burden, or the share of income spent to pay for housing (Harvard Joint Center for Housing Studies, 2013; Quigley & Raphael, 2004). Productivity is clearly up, but who is reaping the benefits? How much of the GDP per capita growth is being realized by the top 1%, the top quintile, or even the homeownership class of 48.6%? 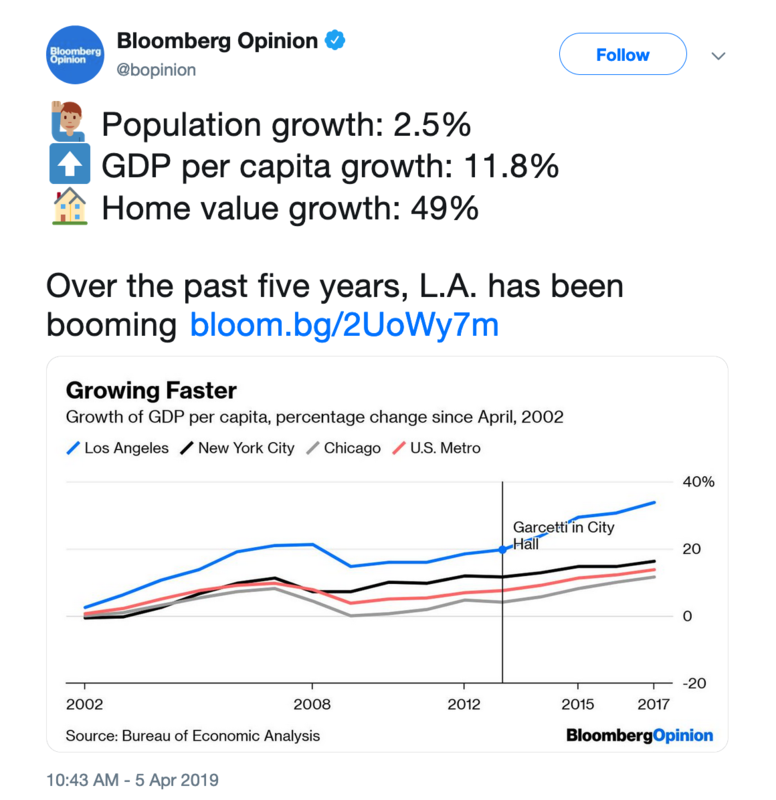 Despite using the sunnier GDP per capita growth figure (as opposed to a measure more reflective of the wages or incomes of average Angeleno households), the problem is obvious. More and more people will find themselves unable to afford to become part of the ownership class in Los Angeles – merely a continuation of a long-cementing trend. Even a heady 3.9% median household income increase doesn't fuel the American Dream when housing prices are rising twice as fast. The rule of thumb long used by real estate agents and homebuyers is that you can afford a house if its price is equivalent to roughly 2.6 years of your household income... By this metric, the least affordable metro of all is Los Angeles, where it would take nearly 10 years for the median household to buy the median-priced home. tentt's getting worse. 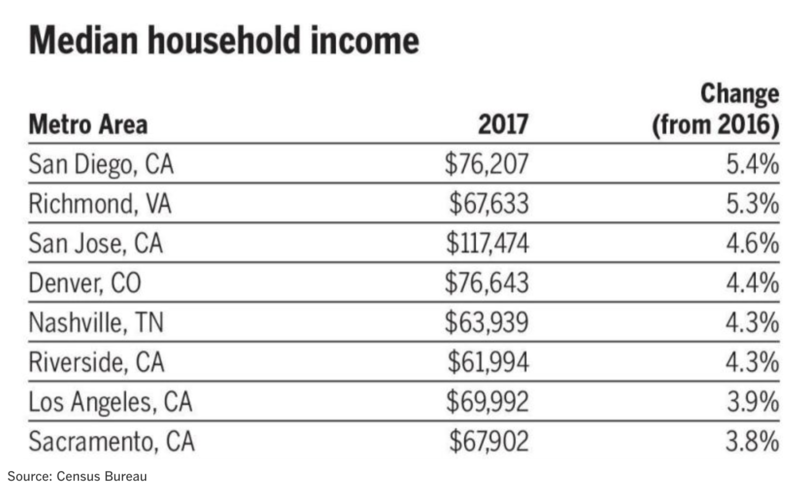 Just eight percent of the homes sold in Los Angeles County last financial quarter were considered "affordable" to a household earning the countywide median family income, according to the National Association of Home Builders (NAHB). Earlier this year, the same estimate put 9.5 percent of homes into that category. “This trend will likely lead to greater inequality within the rental market... high earners are increasingly competing with everyone else for finite city space,” Apartment List researcher Rob Warnock says. Indeed, like gridlock on the 405, we are confronted by the immutable problem – finite space. Don't worry, Tinseltown, those constraints are far over the horizon for our journalistic elites, no matter how full your kid's classroom is, no matter how much traffic you face on your commute, no matter how stagnant wages are, and no matter how much your housing costs. So maybe the real story here is that, after two awful decades, the Los Angeles area economy has finally begun to recover its footing. It just can’t find anyplace to put all the would-be workers. 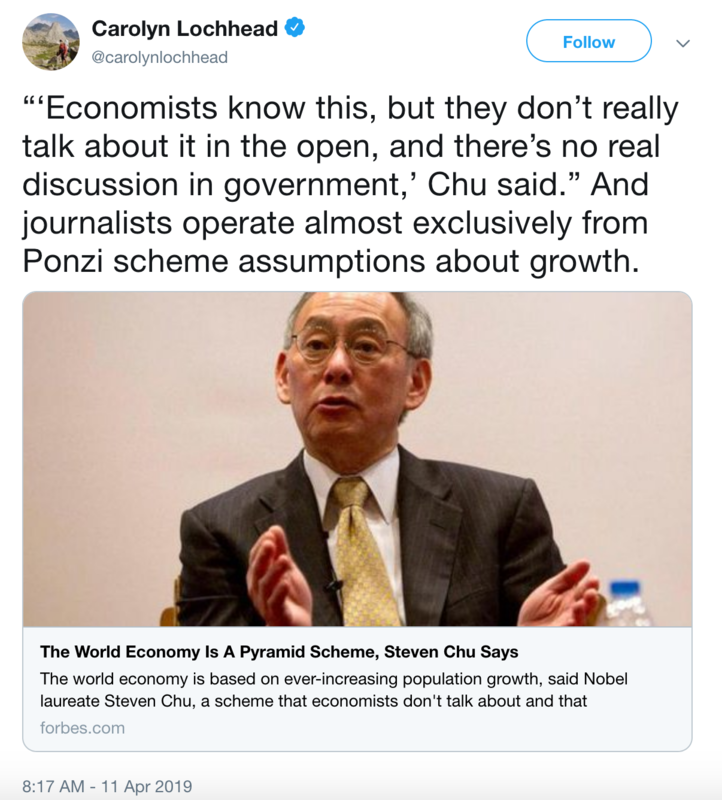 The Washington Post's Philip Bump writes that we won't be truly "full" until there are 45.8 trillion people living in the U.S. Bloomberg's Noah Smith predicts doomsday consequences like "decreasing relevance, dynamism, and power" if the population growth he favors fails to materialize. For many in what Peggy Noonan refers to as "the protected class," a groupthink formula for future American hegemony trumps the reality of today's dying American Dream for average Americans. Metro area - including Los Angeles - have been using their local governing structures for decades to try to address housing costs. But these varied efforts have failed. None of our laboratories for democracy have succeeded on this front. What is the hope for a sustainable breakthrough at the local level? Fortunately, we still have needle-moving policy options available. One change (less immigration!) will make U.S. labor more valuable and housing prices more stable, while giving our governing structures a chance to finally replace and improve the infrastructure they have consistently failed to adequately maintain and provide to the level of user demand. It would also allow inequality to contract. Those are my kinds of tradeoffs.